Combine two unique adventurers and enjoy Art Deco Napier onboard the Hawks Bay Duck. 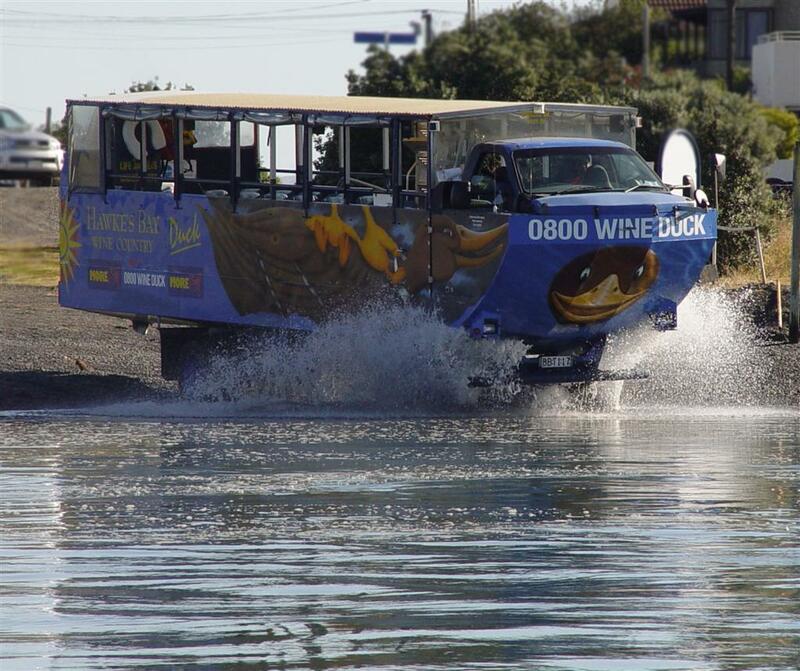 The “Duck” is a unique four wheel drive amphibian vehicle, which allows participants to be picked up from the wharf, then go in and out of the water using any boat launch ramp. From the Port of Napier you will travel along the scenic Marine Parade where your guide will explain the history of Napier and point out the various attractions available. Turning from Marine Parade into the residential area will allow you to see the Art Deco housing style. Then head towards the Port of Napier across the Bay to the original Port of Ahuriri. The most exciting way to see Napier. There is the option to leave the Duck in town at conclusion of trip and make your own way back to the pier. Don't forget to bring along additional local currency/credit cards for optional purchases such as refreshments and souvenirs. To make your day as enjoyable as possible, please ensure that you wear comfortable flat-soled shoes, clothing suited to the weather conditions, a hat and warm jacket, and bring along some sunscreen and bottled water.